I was reading a discussion on a social network the other day in response to a post in which somebody was talking about trying to get back onto a low-carb eating plan. In this particular thread, the discussion wasn’t about low-carb high-fat, but just about avoiding sugars. What was fascinating to me was the range of feedback that came out of the comments. This was a discussion in a general forum involving people who came from all walks of life. Many of them were more well-versed in the conventional wisdom of the mid-20th century about dieting than they were in the latest scientific studies. Some commenters chastised the original writer for wanting to avoid fruits. Others pointed out that fruit smoothies are much healthier than fruit juices, because they include more of the pulp of the fruit, ignoring the fact that fruit smoothies generally also contain a number of other ingredients that may not be as healthy. And several people talked about the importance of not making any radical changes to a diet, but rather taking an “everything in moderation” approach. Of course, none of this advice makes any sense in the context of low-carb high-fat eating. But one of the statements that caught my attention was one in which somebody said that “scientific research has demonstrated that fat is bad for you.” It seems to me that, unless you’ve been living under a rock for the last several years, you have to be aware that modern scientific research has demonstrated time and again that fat is not only not bad for you, but that fat is actually essential to healthy diet, and that some of the fats that have been most criticized in the past are turning out to be the healthiest ones. Fat helps you feel more satisfied after you’ve eaten it. It also supports healthy liver function, improves immune response, and encourages healthy hormone levels to support tissue growth. And it’s delicious. Of course I replied to the thread, emphasizing the importance of including saturated animal fat, coconut oil, nuts, and olive oil in a healthy diet. Just reading such uninformed comments made me want to spend a little bit more time talking about the value of each of these fats, and why they’ve been so important in my diet. Saturated fat is a type of fat that comes often from animals and animal products. Butter, well-marbled steak, bacon, and chicken skin are all great sources of saturated fat. At room temperature, saturated fat turns semi-solid, but it melts quickly at body temperature and during cooking. For the past several decades, saturated fat has been blamed for causing heart disease and raising cholesterol levels. Some of the evidence for that has been the fact that it is solid at room temperature. 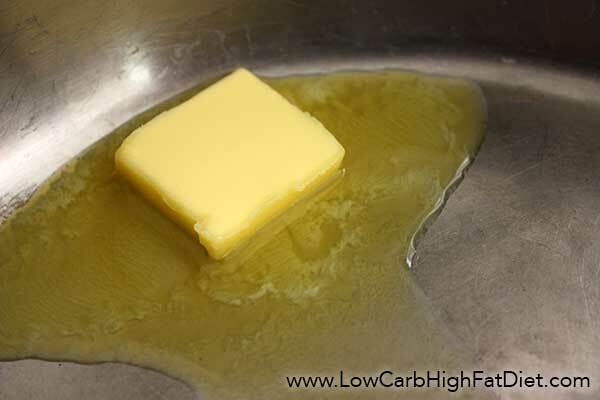 If anybody has a difficult time visualizing how fat could clog arteries, simply looking at a lump of congealed saturated fat might convince them. But the image is false. Researcher has demonstrated that dietary cholesterol has very little to do with blood serum cholesterol, and people who eat more saturated fat from non-processed sources have less heart disease. Saturated fats are some of the most naturally absorbed, healthiest fats on the planet. Technically, coconut oil is also saturated fat, but it doesn’t come from an animal source. Coconut oil got a bad reputation by association because of the fact that it is saturated and also solid at room temperature. Some conspiracy theorists claim that the makers of margarine wanted to push coconut oil out of the market, and funded studies that painted a bad picture of how coconut oil affects health. In fact, coconut oil is not only one of the healthiest fats, some researcher indicates that it can be helpful in preventing and even reversing Alzheimer’s disease. Coconut oil is very shelf stable, and adds a delicious flavor as well as a smooth texture to any food, either sweet or savory. Nuts are confusing food to some people on a low-carb high-fat diet. They contain some carbohydrates, along with a lot of fat, and that combination is usually not very healthy. However, nuts also contain a great deal of fiber when eaten in their natural state. Nuts are frequently roasted and salted, and the roasting process makes the fat in nuts a little bit healthy. Nuts are also sometimes covered in starchy or sweet coatings, and should be avoided when they’re prepared that way. The closer you can get to eating raw unsalted nuts, the healthier they will be for your system. But even nut butters usually contain a good deal of fiber, and as long as they’re not blended with sweeteners, nut butters can be a great source of healthy fat. Olive oil is one of the monounsaturated fats. While it solidifies in the refrigerator, it is generally liquid at room temperature, and it is also very shelf-stable. Olive oil has a strong flavor, but there are varieties that are less pungent, and that can be appropriate depending on how you plan to use it. I typically don’t use olive oil in sweet dishes, preferring it for savory applications. Olive oil also doesn’t lend itself well to very high temperature frying, however it can be drizzled on fried dishes, soups, stews, or roasted vegetables to add a familiar silkiness and musky flavor. The next time you hear people criticizing fats, keep in mind that there have been decades of paid studies supporting the notion that fats are bad for you, and low-fat high-carbohydrate foods are good for you. We know better, and with a little patience, we can educate people. ← What’s Healthy on a Low-Carb High-Fat Diet?